A shiny teal 60s Mustang convertible on a sweltering day in early August is not what immediately comes to mind when a conversation turns to competitive ice dancing. But on this day, when it’s Tessa Virtue and Scott Moir perched on the back of that Mustang, waving to adoring crowds adorned in red, it all makes perfect sense. Passing mere feet from the house where Scott grew up, the Mustang turns into the parking lot of the Ilderton arena. They have spent countless hours here, where they trained to become, perhaps the greatest ice dancers ever to lace on the steel. Right here in Ilderton, Ontario, Canada – population: 1,856. They are here today to say thank you to their hometown. A classy move by the classy pair (don’t say couple, okay). You can tell their love for their home and their neighbours is genuine – and reciprocal. 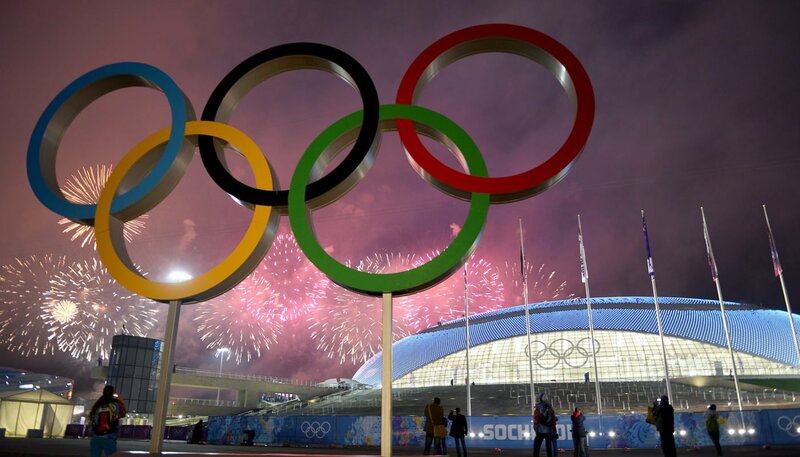 They radiate health, discipline and goodwill: everything true Olympians should embody. Of course, as even people in places where they’ve never seen ice can tell you, they aren’t mere Olympians, they are Olympic gold medalists, which means – even if they weren’t as beautiful, down-to-earth and downright nice as they are – they would be marketing gold as well. Ilderton loves these two, but the love doesn’t stop there. Take the 10 minute drive into a shopping centre in neighbouring London and you will be greeted by a five-story tall Tessa Virtue on a banner brandishing trend-setting eyewear. But you don’t even need to get in the car to see how far this love affair goes. Go no further than the phone in your pocket and Tessa’s Twitter feed and you can see her on the cover of Vogue magazine – the Japanese edition! In the age of social media, borders mean little. And even ice dancers from small-town Ontario can become the most in-demand brand endorsers on the entire planet. Whether you are talking old school celebrity endorsement or it’s modern cousin, influencer marketing, Virtue and Moir are as much of a winning bet off the ice as on. A perusal of Tessa’s Instagram and Twitter feeds tells the tale. The range and diversity of brands and causes featured there are as varied and vibrant as what you might find in an ice dancer’s costume closet. Costume being an apt metaphor – for, as it is in ice dance, the better the fit, the better the results. Tessa’s endorsements in the worlds of fitness and fashion make complete sense and it doesn’t require a lot of imagination to get how her Twitter and Instagram followers might be inclined to take her impressive example to heart as they wander the mall. According to Marketwatch, a celebrity endorsement can result in an immediate bump of 4% in sales. The power of the endorsement comes from a word we use a lot around here – legitimacy. When the brand is a good fit with the endorser it is even more powerful. When Tessa, an Olympic gold medalist, says she prefers these kind of workout clothes, or shoes, or fitness routines, that means something. Her success in that arena legitimizes the brand choices she has made in the mind of consumers. It’s basic human psychology, if I do what Tessa does, I will be more like Tessa. And who doesn’t want to be more like Tessa! But, although a product-endorser fit is ideal, it doesn’t have to be perfect for an endorsement to work. Especially when there’s an outpouring of goodwill, national pride, and local heroism as is the case here. Hence we have Scott and Tessa on local radio bumping sales numbers for everything from cars to custom kitchens. Look back to our previous article here and we see a theme emerging. All other factors (price, location, quality etc.) being in the same ballpark, a purchasing decision will be cinched on feeling a positive emotion. And having patriotism, elite athleticism, victory, grace, beauty, class, lovability (not to mention that endearing dash of romance/not-romance mystique) is a lot of good vibes to cozy your brand up against. Another way to think of this is that Scott and Tessa already have a brand of their own — and an audience, tying your brand to theirs buys you an in with their audience and transfers some of their brand virtues onto yours. In the dynamic world of social media though this can go from blessing to curse faster than you can say Kevin Spacey or Lindsay Lohan. One slip-up by your endorser and you are right there in the hot water where they are. This is the dark side of influence marketing and the absence of any buffer between fiasco and everyone with a phone makes it a risky proposition no matter who your valued relationship is with. Who can forget, the day after their gold medal skate in PyeongChang, the international scandal of Scott Moir, beer in hand, yelling at the refs at the Canadian women’s gold medal hockey game against the U.S.? They can do no wrong. Everyone loves these two. A surer bet in influence marketing probably there never was.